Till Now, We Have Become A Company With Over 100 Employees, Annually Producing Over Hunderds And Thousands Vests And Pouches. Due To The Best Quality And Decent Price, Our Products Are Popular All Around The World, Not Only For Airsoft Players But Also For Those Law Enforcement And Military Professionals. You Can Find Pantac Combat Gears In Either Unmanned Afghanistan Mountains, Or Torrid Iraq Desert, Or Chilling Canada Snowfield, Or Moist South Africa Jungle. We Are Grateful That Many Airsoft Gun Manufaturers Trust In Our Product Quality And Workmanship And Offer Us A Chance To Be Their Oem Partner. We Are Appreciated That We Have The Canadian Army Special Forces, Us Army Engineering Team, South Africa Police Department, Chinese Police Department And Many Other Contrators Working All Around The World As Our Honourable Customers. We Are Honored That Some Airsoft Players Valued Our Product As "Rolls Royce Of Combat Gears". We Are Proud That So Many Professionals Take Pantac Gear As Their Reliable Mate In The Complicated Battle Field. In The Past Several Years In The Market, We Took Honour, Integrity And Faternity As Pillars Of Our Business Ethics. We Have Kept Trying To Serve Our Customers, Partners And Employee Well. Integrity Is Not A Question Of ? ?To Be Or Not To Be??. It Is Our Solid Belief. We Have Fulfilled Each Minor Favour That Our Customers And Partners Had Asked For. It Is Our Major Responsibility To Satisfy Every Customer Partner And Employee. We Have The Bravery In Willingly Facing All Kinds Of Criticism And Complaints And Approching Perfection. We Have Totally Over 3,000 Products In Our Category In Different Colors, Such As Desert Tan, Olive Green, Coyote Brown, Black, And Crye's Multicam. 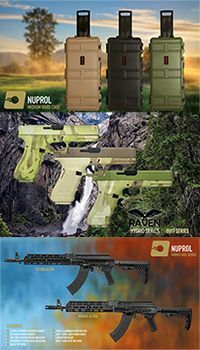 Of Course In The Coming Future, We Will Expand Our Product Lines To Ranger Green And Acu. All Of Our Products Are Made Of Materials Comlying With Military Specification. Most Of Our Products Are Made Of Invista 1000 Denier Cordura Fabric, Except Some Low Price Products Specified The Material In The Product Name. We Were The First Brand That Use Cordura To Make Fullline Products In The Airsoft Market. We Were The First One To Use The Best 1000 Denier Cordura In The Market. Actually We Are Always The First One To Build Up A Standard Of Material For Those Followers. Other Components Of Pantac Combat Gears Are The Best In The Market, Such As Ykk Zippers, Itw Nexus Buckles, And Utx Buckles.